You can rent our boats in the Cala Gonone port, daily from 8:30 in the morning to 16.00/17.00 in the afternoon. The length of the dinghies are 4.70 and 5.50 meters with a capacity up to 7 people. All Yamaha and selva/Yamaha engines are 40 HP, very quiet and low consumption of fuel. Little dimensions make our dinghies easy to drive, also by who’s at first experience with this type of boat, and let reach every beach in short time. 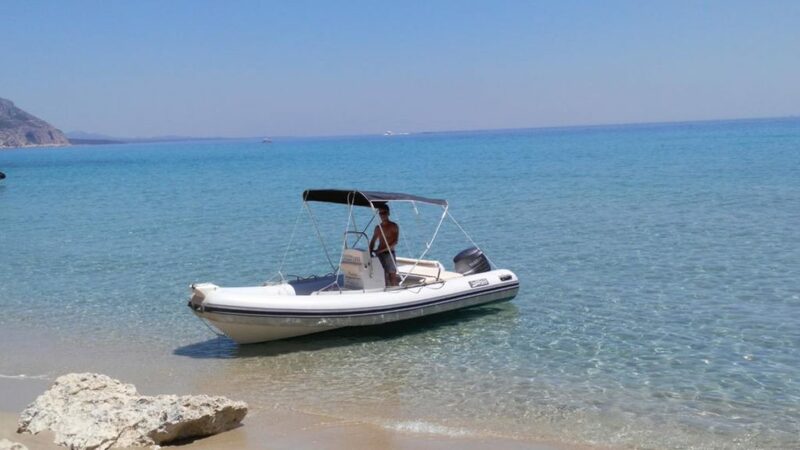 In the moment you rent the dinghy, our employee will make you a very easy explanation about the using of the boat, the approach to the shore and safety rules. During the day you can stop in every beach you want, visit our most important cave and every corner of the coast between Cala Gonone and Cala Goloritzè, in complete autonomy and relax. All of our dinghies dispose of sunbathing cushions, an inox ladder, driving position with wheel, a little bench, a locker for luggage, electric trim for lifting engine, life jackets for adults and kids. No drive license required !! !